While it was a lot of fun, I am looking at other things beyond VR this year and am excited for certain new ideas I am playing with. Will share more on that later. I did a fair bit of work on Blockchains in 2018, mostly at the Dapp level. Its early days for this space but I do believe they present a once in a generation opportunity for a step function change in how we use technology. There is a lot of pessimism about the space right now, after the unrealistic craziness that was the 2018 bubble when Bitcoin hit $19,000 but I am excited about where the tech is going. That’s me, that pink blob there! Philly Google Developer Group (GDG) continues to go strong in its 8th (!) year since its start as AndroidPhilly in 2011. Its a great community that I look forward to meeting at least once a month and have made some great friends there. I didn’t travel as much for work this year, which was good. My favorite event though was the MIT Media Lab’s Fall Member Event. I do like all the demos that the Media Labs groups present but the best part is the talks with other sponsors from different organizations. 2019 is guaranteed to be a year of many changes and I am excited for most of them. Stay tuned. We were totally wrong. Turned out contentEditable is a terrible API as documented in this article by the Medium engineering team. Modifying the underlying document while the user was editing it was just impossible to get right even on one browser. And for bonus pain points, every browser wrote different underlying HTML when the user edited a contentEditable element. About 3 years ago I was assigned to work on an online CMS for an internal portal at work and started looking at RTEs again. Since the rest of the project was going to be in React, I started looking closely at React libraries. React had one advantage that didn’t exist when we had tried our earlier adventure: Since React keeps the document structure in its Virtual DOM, it didn’t have to fight with the browser specific implementations of contentEditable as well as fight the browser for things like cursor position and selections. DraftJS seemed like the best choice at the time. It was (and still is) actively developed by Facebook and is used by them for text editors on Facebook.com. Generally it worked well enough. We could have used more documentation but were able to get a default experience working. Draft comes with very few extensions and really tries to sell its “toolkit” nature by having you code behavior I’d have expected as default. There is a different project called DraftJS-Plugins that gives you a lot of that. Weirdly, DraftJS-Plugins requires you to use its Editor which seems to be a modified version of the DraftJS editor. Ideally Draft should support plugins out of the box. Ghost is a pretty interesting CMS. Visually its very polished and the editor interface there is pretty amazing. Earlier versions of Ghost used an editor that really was centered around Markdown, which is awesome but not a fit for the target audience of our system. Ghost also had very limited database support: basically SQLite for development and MySQL for production. Since we didn’t want to use MySQL it was a deal breaker. But from the point of view of Text Editors, Ghost 2.0 that was recently released shipped with a new and much nicer editor. The editor is now part of the main Ghost repo but I imagine can/should be extracted to its own project. Whats really interesting about the Ghost Editor is that they also released a library for building WYSIWYG editors supporting rich content via cards called MobileDoc-Kit and an open source spec for these documents called MobileDoc. This addresses my issue with storing a proprietary format for a document in the database. So yay! If Rails is your thing, Rails 6.0 will include a Rich Text Editor out of the box which is really cool. The editor itself, Trix, is out right now and can be added to your project if you need it. One interesting thing is that almost all the editors are starting to move into the concept of a rich document as a group of content blocks. This is a departure from earlier architectures that gave you the entire document as a rich document with all the formatting. One reason for this is the ability to export the content blocks in a variety of formats besides simple HTML (like Markdown). Blocks also let you use non-text elements within the document. These can be things like media or even rich widgets like photo galleries etc. Given a well defined document data-structure, these can also be supplied by third-parties. Both Notion and AirTable measure usage and price their plans not on the basis of number of documents but rather the number of blocks used. I was recently looking to scaling up an API currently hosted on Heroku.com. While adding dynos to Heroku was an option, I also thought it was a good excuse to get more familiar with Google Cloud Platform (GCP), which I have been curious about for a while and have had some really good conversations on at previous events at GDG Philly. GCP’s Cloud Endpoints seemed to be the right answer, especially since they do claim to support hybrid cloud deployments. 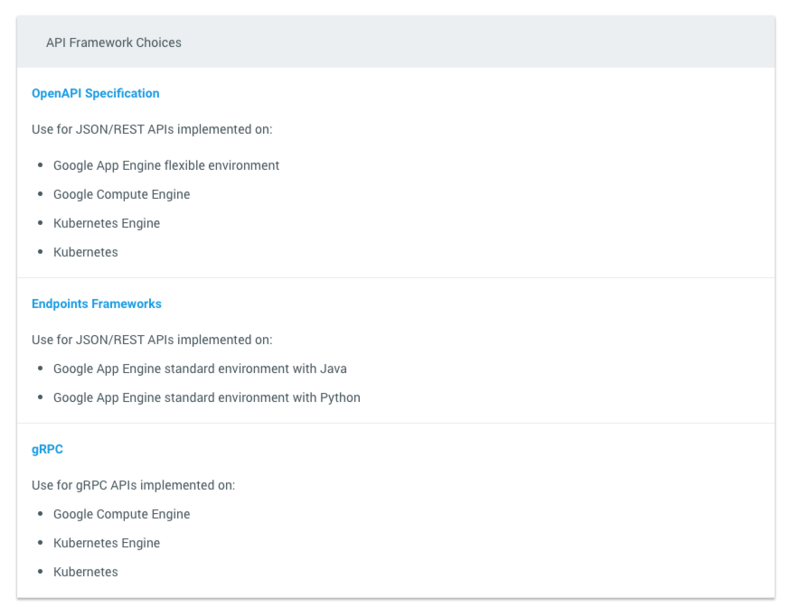 So based on their documentation, it seems that the only JSON apis that Cloud Endpoints can front are those hosted on Google App Engine or Compute Engine. At this point I actually debating deploying the Rails app on the App Engine. Ok, let me try out how hard that is. After all they have a blog post on how to do it. After an hour of configuring, I was able to deploy my Rails app to Google Cloud, but it took me too much effort to connect it to the CloudSQL backend and even more to try to get migrations running (never did, and I finally gave up). Google does have a video on how to get rails migrations working using their Cloud SQL proxy but I was kinda done by then. This was taking me down a path I wasn’t really planning to go down. 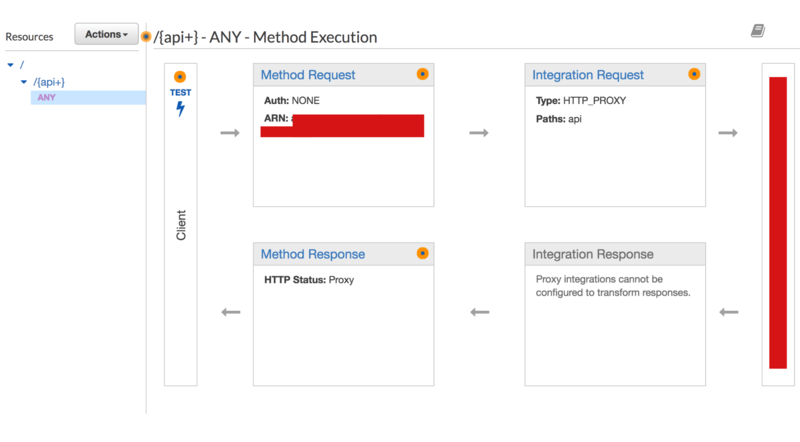 Getting it work on Amazon’s API Gateway was so much easier. The last year or so I have been working on an app for teaching programming that I hope to release in a few weeks. The CMS for the app is a React based web app powered by a Rails server. The Rails server is running in an API-only mode which has been working out reasonably well. One of the recent additions to Rails has been the ActiveStorage system that purports to make attaching media to Rails models really simple. Unfortunately most of the documentation around it involves using Rails’ View tier as well which the API-only mode strips out. 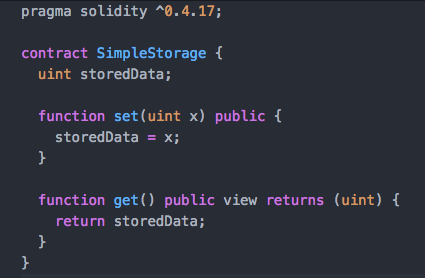 In fact, getting there is an open bug on ActiveStorage to actually make it work out of the box in API-only projects. Oh and one more thing: ActiveStorage doesn’t support uploading to multiple buckets, just in case thats a dealbreaker for you. After a couple of days of struggling through it, I finally have it working in an API only mode using the React Dropzone Component instead of a boring filepicker. Also note, there is an open source React component for interacting with ActiveStorage which I did not try, mostly cause I was already halfway done with the Dropzone implementation by the time I discovered it. or better yet just let strong_params do it automatically. I recently updated the React Native app I have been working on for a while from RN 0.47 to 0.55. I’ll admit I was a bit callous about the update and hadn’t really looked at the change log, but hey, version control does give one a foolish sense of bravado. However a bigger issue came up when I tried to package the app after resolving the compile errors. This was a total fail for me, since my app uses local npm modules to hold pieces of common code for the web and mobile clients. Thankfully someone did come up with a bit of a hack that generates absolute paths for all symlinked libraries and launches the cli.js file of the packager with a config file with the list of absolute paths. It works for now, but hopefully this bug will get fixed soon. 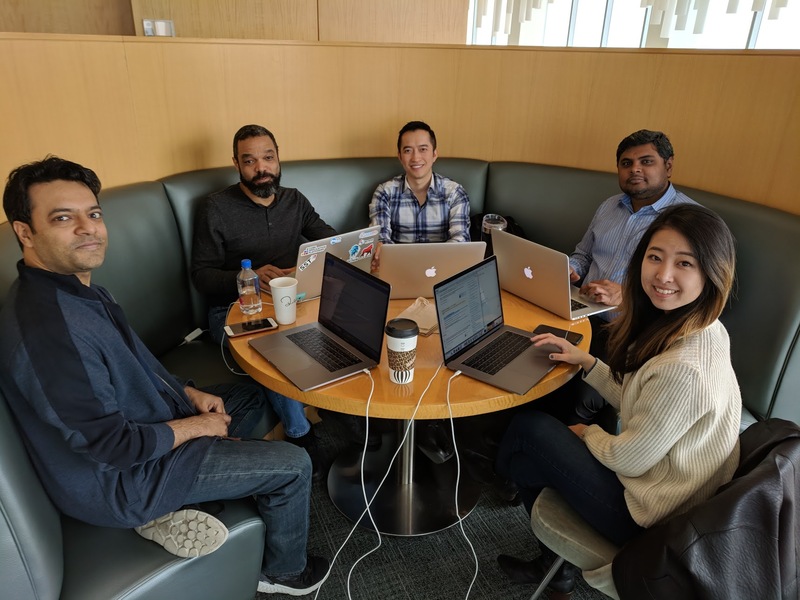 Last week’s Comcast Lab Week gave me another opportunity to dig deeper into Blockchains. In my previous writeup on CodeCoin, I had used Ethereum to create a bounty system for Github issues. However under the hood, we had cloud servers managing various wallets belonging to the different issues. Smart Contracts offer a better way to handle this. Smart Contracts are pieces of code that execute on the Blockchain. Think of them as classes in an Object Oriented Programming model. Once deployed, you can invoke methods on the Contract from any wallet on the Blockchain. The method, when called, gets not only the parameters that you explicitly sent as part of the method call but also the caller’s wallet address and any value (Ether or its smaller fraction Wei) that the contract was sent. The contract can then keep part or all of the value sent in return for executing the code. The world’s simplest Smart Contract. Note that the above contract is a “hello world” contract. Ours was a bit more complicated. Similar to the last time, we used the TestRPC program, now rebranded as Ganache, or specifically it’s CLI version, the Ganache-CLI) to develop and test the application. The app itself was pretty simple: It allowed users to rent an asset in our store by sending a particular amount of ether to our smart contract. 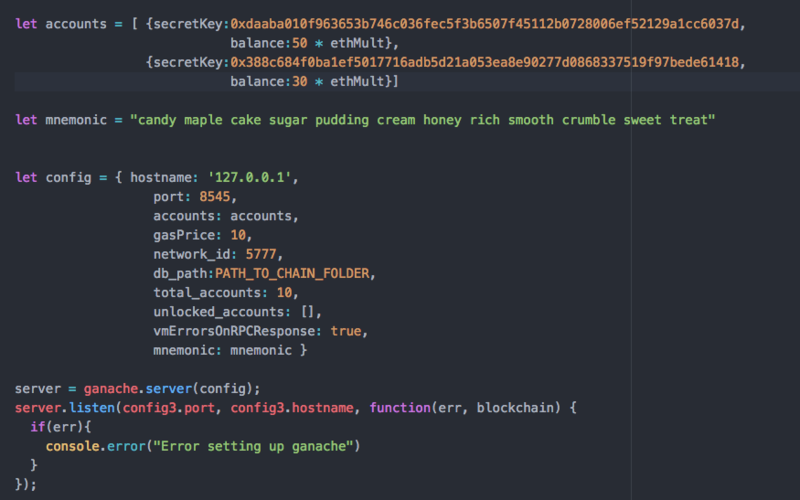 In addition to Ganache, we also used the Truffle framework to build the application as well as MetaMask to run the transaction. 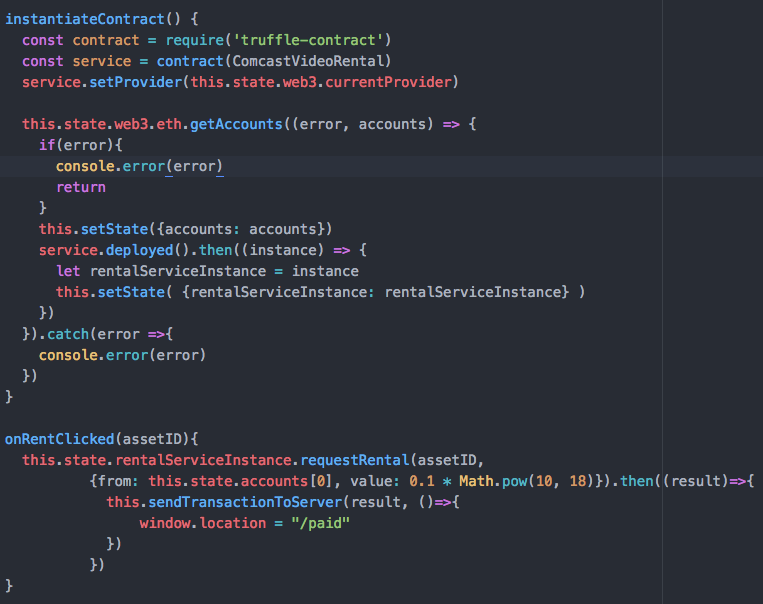 The Smart Contract itself was written in Solidity. Even though there are may editor plugins you can add to your favorite editor, I found using the the cloud hosted Remix IDE the best to get started. It’s already configured with linters and debug tools that make developing your contract much simpler. We assumed a successful transaction on the contract assumed successful payment. We did not wait on the transaction to be mined to declare payment success. We should be waiting on that using the Web3’s filter API but we just ran out of time on the project. We found an interesting project called OpenZeppelin that seems to be a public repo/tool for often used Contracts. I need to try that next. During my last trip to India (this Jan) I was once again struck by how different the Indian tech scene is from the US. In my last trip I talked about the very different mobile behavior in India, but during this trip, I was more struck by India’s beginning of transition to a digital economy. India is going through an interesting transition phase where its leaders, specifically Prime Minister Modi, are pushing a change towards a more digital nation. The road is bumpy but hopefully it will lessen some of the big problems India faces today. In my three-ish weeks there, I found a number of things that I found interesting. Here are some notes from there. India is at an interesting moment in history with the Prime Minister pushing the nation into the digital age. These initiatives include a digital identity program (Aadhaar), bank accounts for every citizen, a universal digital API for payments mandated for every bank (UPI) etc. The transition may not be smooth, as evidenced by occasional reports of data breaches, and an overzealous broadening of the scope of what Aadhaar was supposed to enable (which is going through a course correction now) but I am optimistic that this can really accelerate digital services in India and arrest the corruption epidemic that plagues the non-digital economy. Sometime in the next couple of months, I am hoping to dig more into the India Stack which aims to be the platform for the new digital society. 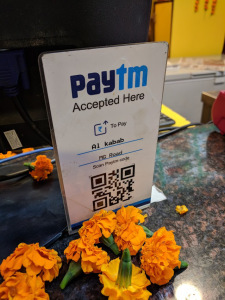 The other thing that was really interesting to see was the rise of the “pay-with-QR-code” options all over the city, once again enabled by the UPI banking api and accelerated by the demonetization event in 2016. Digital payment companies like PayTM saw a huge growth in the last year and with WhatsApp’s recent announcement of adding payments into the app (which Indians are addicted to), there will be a huge transition towards a more cashless economy. The government is clearly doing everything it can to push the transition and news reports like the one shown below that show that government controlled services would cost digital payers less, are getting pretty commonplace to see. There is definitely a lot of Pay-with-QR code options, but I am curious if systems like this could be abused. 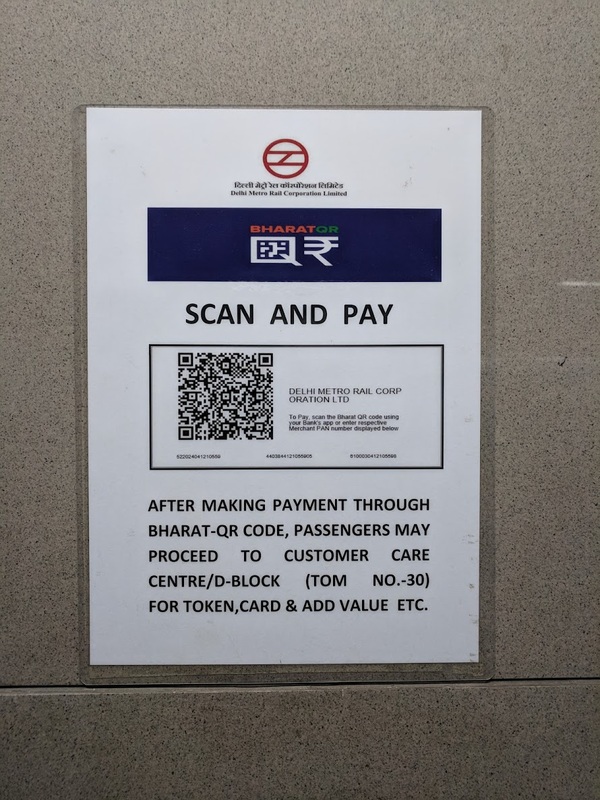 For example, I ran into the sign below at a railway station and while I am sure its legitimate, it could just as well have been part of a scam where someone just pasted these signs when people weren’t looking. Some of this is prevented by 2-factor-auth or one-time-passwords (OTPs) which are enforced for all digital payments. So every time you make a payment, you get an SMS to confirm the transaction and it will not go through till you reply to the SMS message. The availability of Uber and Ola ride sharing services has also been good to see. Ola, at least for now, does outnumber Uber though I did end up taking each of them roughly the same number of times. And the fact that my Uber app from the US worked without a hitch (given it was connected to my globally valid American Express card) was also great. Its also a great convenience in India where its easy to travel 100 miles and end up in a place where you don’t speak the local language. Its also a relief to get away from the haggling over the price of a ride that used to be the norm earlier. India has had a lot of spotlight shone on its rampant crime problem, especially against women. While some of these problems are too systemic to really be fixed in a few years and require a huge cultural change, there are a lot of initiatives at play here as well. 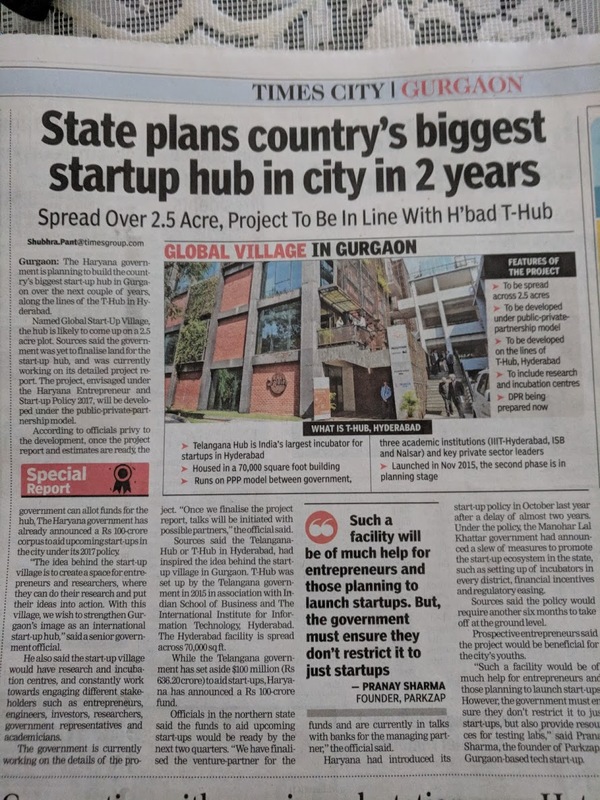 Its also a warning for startups aiming to start in India. 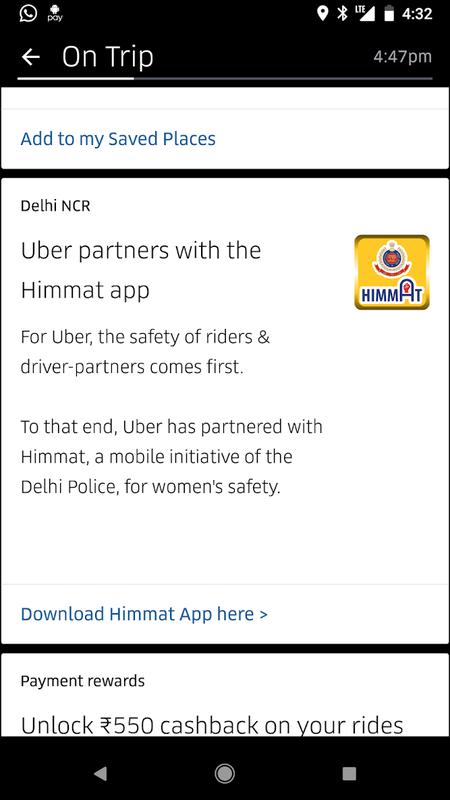 Personal safety is a given in a lot of societies which does allow the sharing economy, but applying the same model in a complex country like India can really burn you, as it did Uber which was banned from Delhi for a while when a rider was raped by a driver there. 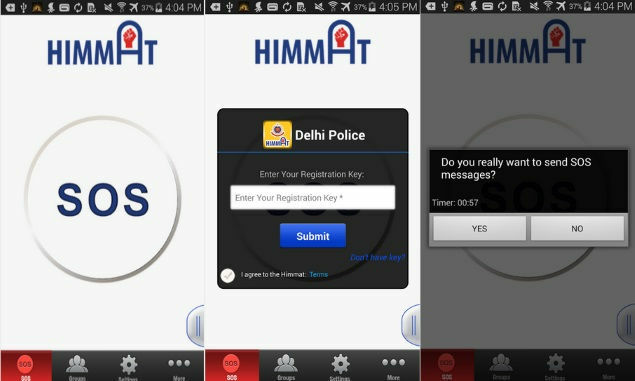 Uber has added a series of security features as well including partnering with the Himmat app as part of its initiatives to add to rider safety and get unbanned. I would love to see more startups look into this space. Personal safety for women is a big problem globally and services like Roar can make a real difference while also carving a sustainable business for themselves. Its definitely an interesting time to be a technologist in India. There is a strong drive to grow technology companies and transform the society into a more digital one. There is no dearth of problems that need to be addressed. It’ll be interesting to see India’s transformation in the next 5 years as it goes through this phase.